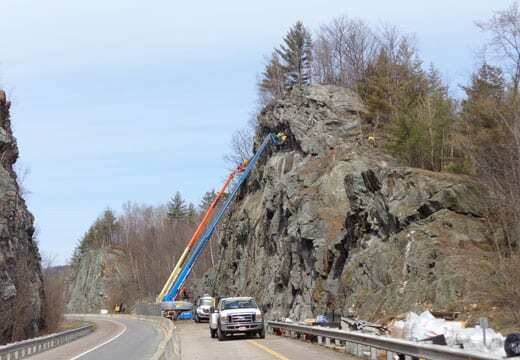 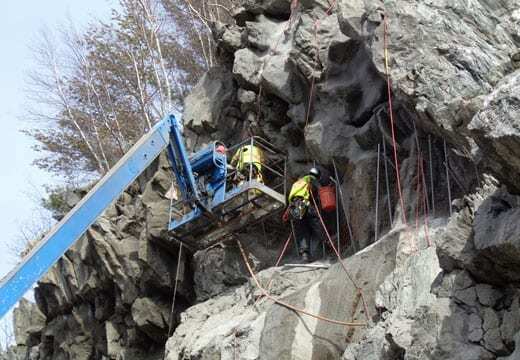 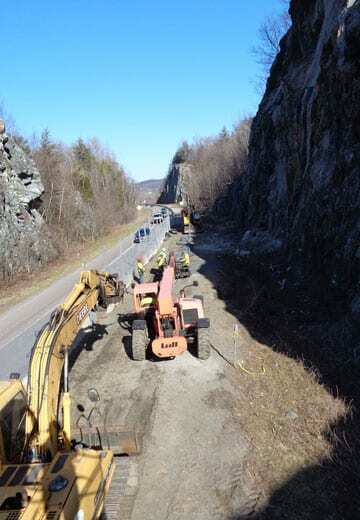 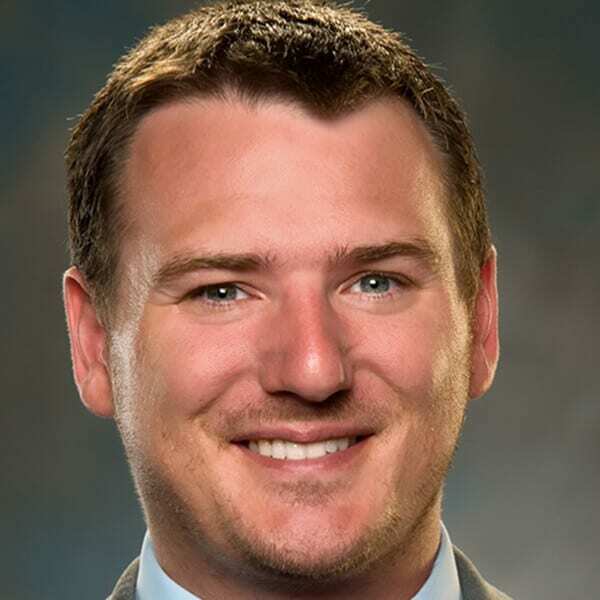 GeoStabilization International® was asked by state Department of Transportation in the Northeast to mobilize to the site and mitigate rockfall issues through an emergency design-build contract. 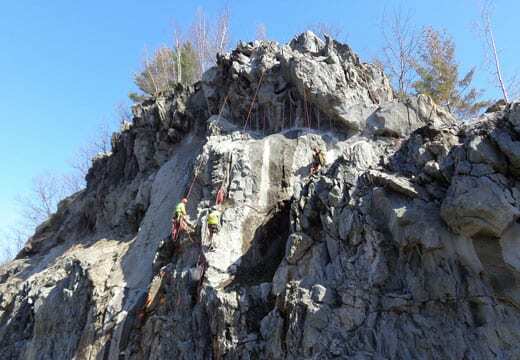 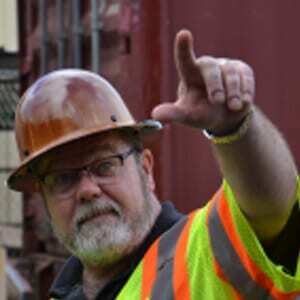 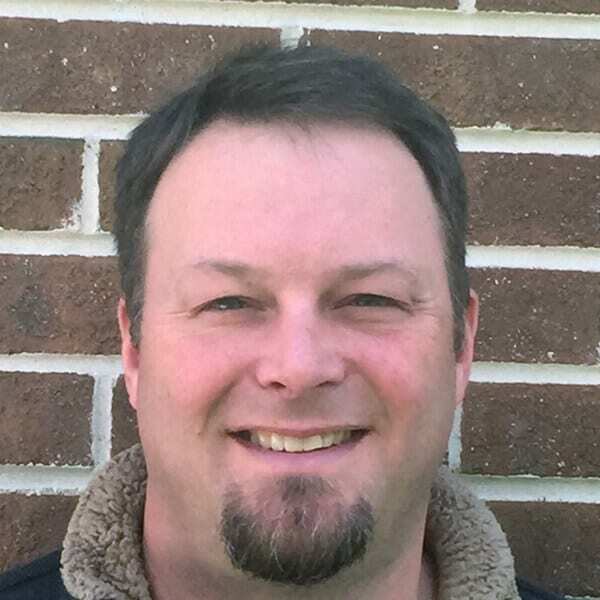 GeoStabilization’s in-house engineers and rockfall specialists met with the Department of Transportation’s personnel onsite shortly after the rockfall event to determine the best approach. 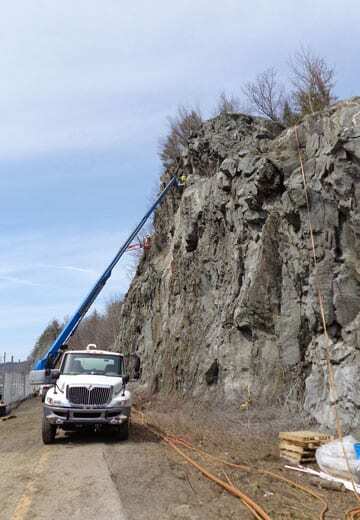 GeoStabilization and the DOT worked together to design a tiered approach to mitigate the issues on the slope: remove vegetation from the slope including trees within 20 feet of the brow; perform light to moderate scaling; install shear key buttresses; install rock dowels and bolts; and install shotcrete using both with wet and dry processes. 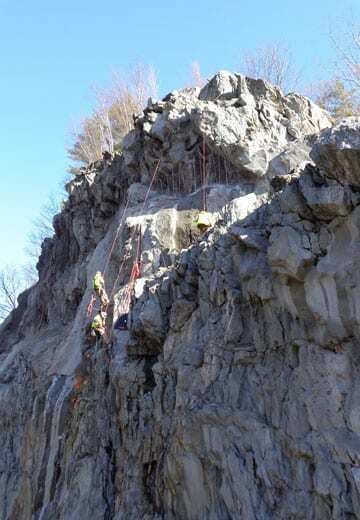 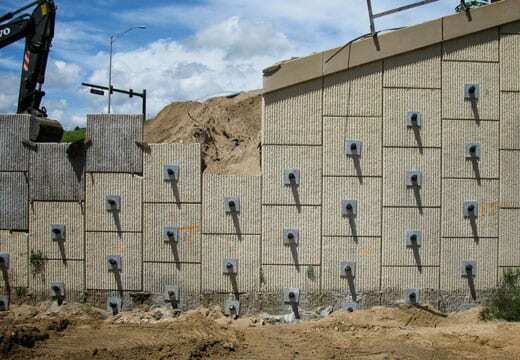 These mitigation techniques were designed and carefully staged with safety in mind – both for the traveling public and for GeoStabilization’s Rockfall Remediation Technicians on the slope.